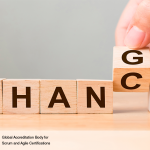 How are Changes incorporated in Portfolios and Programs? changes at these higher levels. 1. It is not recommended to make changes in between two Portfolio Backlog Meetings. Sprints need to stop, and a Portfolio Backlog Meeting should be conducted to determine next steps. 1. 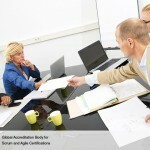 It is not recommended to make changes in between two Program Backlog Meetings. those requirements for inclusion in future Sprints. 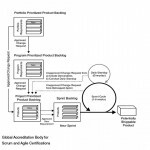 to stop, and a Prioritized Product Backlog Meeting should be conducted to determine next steps. changes to a program largely determine the time duration between two Program Backlog Meetings. 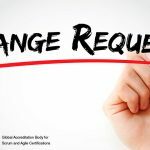 What are the methods to handle change requests in Scrum?